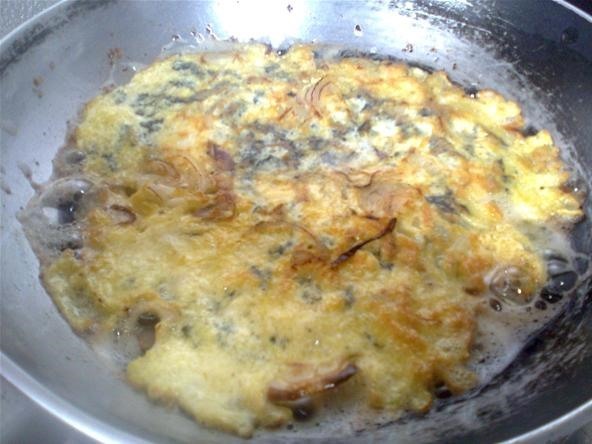 This omelet is thanks to SIB, a friend who gave me a pack of Korean dried seaweed, which I had never seen or tasted before. 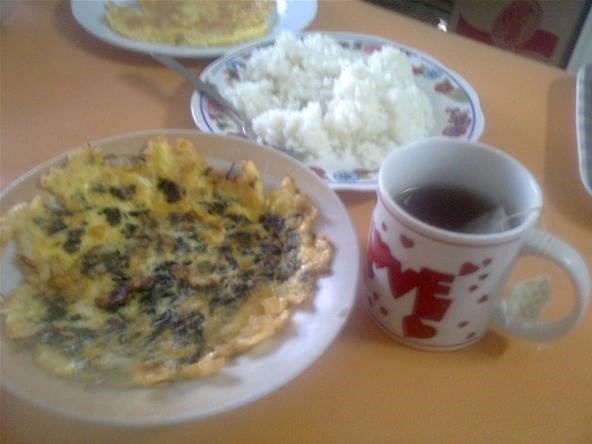 Since no one at my home dare try and eat it raw, in my experience, almost anything tastes good with eggs, so I experimented with the seaweed and tried mixing it with eggs for breakfast, hence the name Korean Seaweed Omelet. So, here's how I made it. 1. Slice the onion into strips or rings. 2. Crumble the dried seaweed. 4. 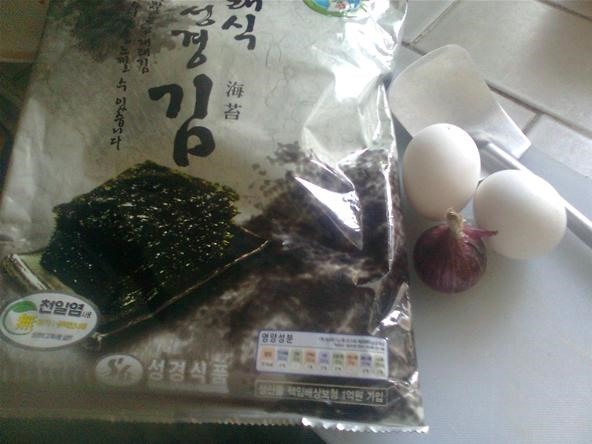 Mix the crumbled dried seaweed into the eggs while beating. 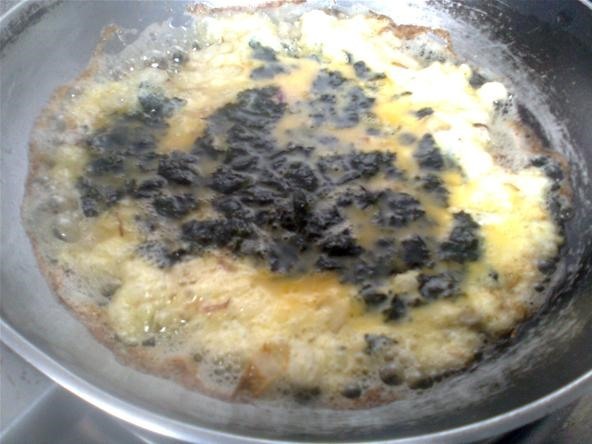 Just crumble 1 sheet of seaweed per 2 eggs used. Heat 1 spoonful of oil in the pan on low heat. Throw the onion in the pan and sauté for 2 minutes. 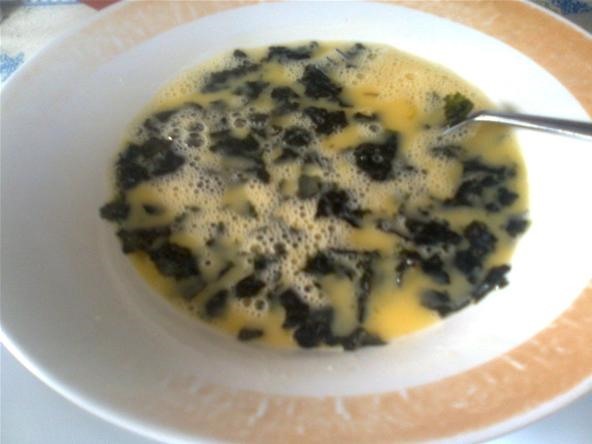 Pour in the prepared egg and dried seaweed mixture. Heat until one side of the egg and seaweed mixture is slightly toasted. Now flip it to cook the other side of the omelet. 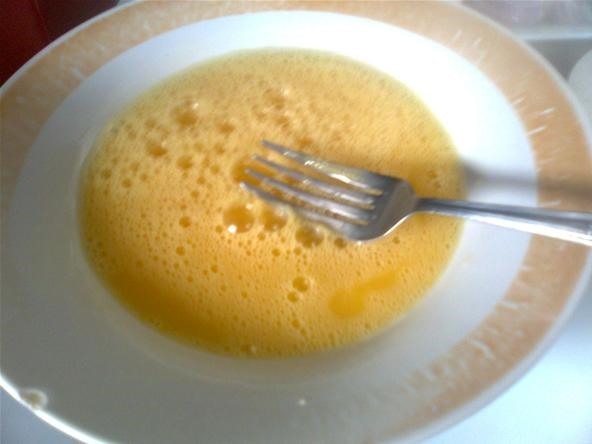 You'll know it's cooked when the liquid egg and seaweed mixture turns to solid. Try to toast it a bit. 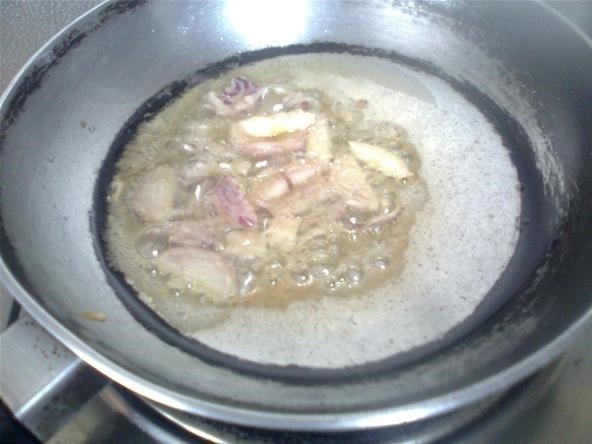 You may use lard or butter instead of cooking oil. 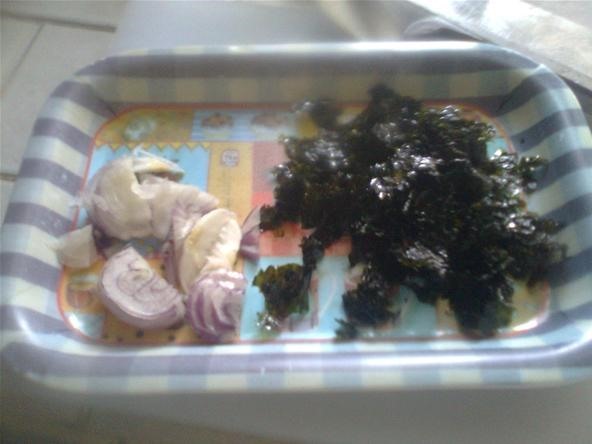 Add salt according to your taste, because the dried seaweed is already salty. Try using ketchup as a side sauce. Serve with rice and a cup of green tea. oh!korean food was sooooo delicios that's why i want to learn more on korean recipes,can you send me a more exciting recipes of them? just eat the seaweed. it's great raw. they even sell it in trader joe's now in california, so there's no need for non-asians to be afraid of it.